About 4,200 years ago, Mesopotamia's first empire fell, and the Akkadian space coincided with the great transformations in Egypt and in the Indus Valley, the other two great civilizations of the time. 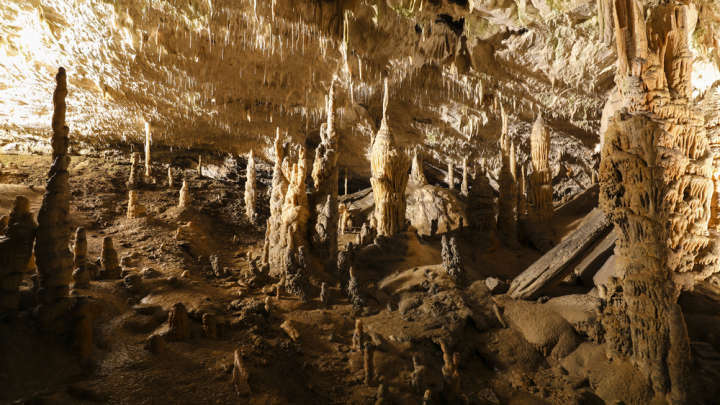 A study on stalagmites in Iran suggests that a widespread climate event was responsible for all three factors. Civilizations rise and fall for many reasons, and the causes of the fall of the Akkadian Empire remain controversial. The coincidence of timing with distant events has led some historians to suggest a climatic cause. The nature and existence of this event was unclear, but in the middle of the Holocene, temperatures remained largely stable, with no increase in volcanic activity or change in solar power. 0 and 4,260 years of strong magnesium spikes compared to calcium, which coincided with slower growth and changes in the oxygen isotopes of the stone. These changes lasted 110 and 290 years, respectively, before the stalagmite composition returned to earlier levels. The change in stalagmite composition appears to be the result of increasing dust levels in the mountains, which in turn appear to be a result of dry conditions in the west. Dry years in the deserts of Syria and Iraq are today associated with increased dust accumulation in Tehran, only 50 kilometers from Gol-e-Zard. The slow growth of stalagmite could also be an indication of locally drier conditions. Sediments from the Red Sea and the Gulf of Oman, as well as other paleoclimatic proxies, had previously been used for the presumption of a western dry space around this time, but the dating for them was too inaccurate to connect with the Akkadian collapse , The stalagmites, on the other hand, have an error of only 31 years. There is a great deal of debate among historians about how much climate change has contributed to the collapse of civilization – one that has become more important to us as it becomes more relevant. We do not know why Mesopotamia has dried up during this time, but it seems as if it has torn down one civilization and severely hit two others.